It was years ago when my sister Agatha, used to go to the Alvin Ailey Dance School. That was back when I was still in college at Kean University (then known as Kean College). This was back in the 80's. I remember going to see her perform in a recital. That was the second time I saw the dancers of Alvin Ailey perform live. This Mother's Day, I'm going to see the what this years Troupe is up to. The four selections that will be featured that afternoon are Another Night / Petite Mort / In/Side / Revelations. Another Night is coreographed by Kyle Abraham. It's creation was inspired by the music of Dizzy Gillespie when performed by the drummer Art Blakey. Jiri Kylian is the Coreographer of Petite Mort. This piece is said to demonstrate the versatility of dance troupe's dancing styles. What are a man's most private struggles? That is what is explored by Choreographer Robert Battle in "In/Side". 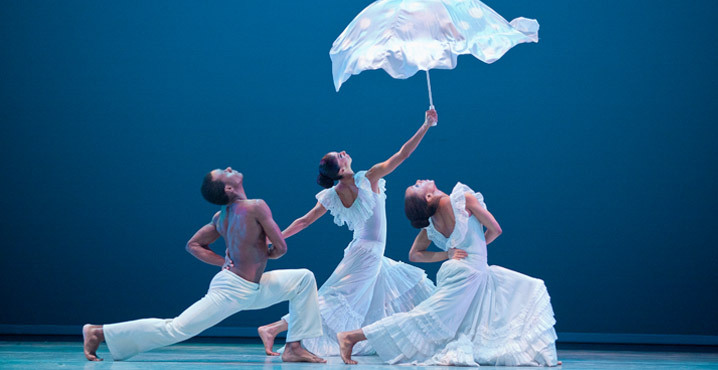 Robert Battle is also the Artistic Director of the dance troupe. The main course of the afternoon is Revelations, which was choreographed by the late Alvin Aliey. This ballet premiered in 1960 and has be a main stay ever since. So it looks like I'm going to be in for a treat.